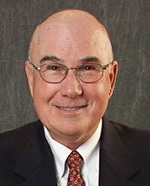 William Wolski, D.D.S. performs cosmetic dentistry for wealthy adults. 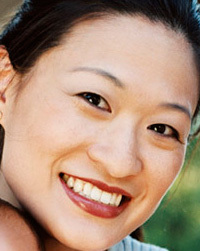 Unlike plastic surgery, cosmetic dentistry isn't a major operation. However, the results can be just as dramatic. Come visit Dr. Wolski at Smiles Dental Care in the Roselle, IL area, and see how he can perfect your smile. At Smiles Dental Care we aim to maximize your insurance benefits and make any remaining balance easily affordable. Roselle area dentist Dr. William Wolski and his knowledgeable staff can help answer any of your insurance questions. We accept most insurance carriers. Please check with us prior to your appointment, but it's safe to say we likely accept the type of insurance you carry. William Wolski, D.D.S., offers convenient, comfortable, and virtually pain-free cavity repair at his Roselle, Illinois area practice. Using a drill-free and needle-free cavity repair method called air abrasion, Dr. Wolski applies a stream of fine particles to the decayed tooth area, gently removing decay in preparation for a new dental filling. During the procedure, you won't experience any vibration, noise, heat, or pressure. A beautiful smile can brighten your life! If you are continuously hiding your chipped, stained, or cracked teeth from others, it's time for a change! William Wolski, D.D.S., a trusted Roselle area dentist, can fix chips, cracks, and stains to reveal a great new smile - and a new you. You'll look so good you'll wonder why you waited so long! For patients who need wisdom tooth removal in the Roselle area, Dr. William Wolski can help. If your wisdom tooth are impacted or need to be extracted, you can trust our highly trained professional team. Your comfort and long-term oral health are our first concerns. We're committed to providing you with the gentle and skilful care you deserve. If you have a missing tooth or have lost teeth, you're far from alone. In fact, you're one of over 100 million North Americans with a similar problem. Some lack but a single tooth; others are completely edentulous (without teeth). Dentures are generally the first thing considered in connection with tooth loss. However, over time a jawbone lacking natural teeth will shrink. Dentures begin to slide, irritating gums. After a while, patients either cannot or will not continue wearing dentures. Their quality of life diminishes as they go on to become "oral invalids." For many patients, dental implants can be almost the same as having their natural teeth back again. That's because instead of being a removable device inside the mouth, teeth implants are bridges that are permanently anchored into the jaw itself. The dental implant procedure is surgical, yes, but usually performed under local anesthesia. The key to a successful tooth replacement is something we call osseo-integration, or the meshing together of implant and bone. Good candidates for tooth implants need jawbone ridges that are in good shape and healthy oral tissues. Then, when the implant device is inserted, a chemical and mechanical bond is formed. The jawbone actually grows into the tooth implant. That's a highly simplified discussion of an extremely complex and technical procedure. For more details on dental implantology, contact your dental implant dentist. Or use our search form above to find one. Learn how you can find the best implant dentistry in your area. When the concept of dental implants and the mechanisms in which they work were introduced to mainstream dentistry during the late 1970's, the advent of dental implants opened up an excitingly new chapter in dentistry. Through the 1980's, the news of the successful procedure of dental implant surgery spread at an explosive rate. It took approximately ten years of repeated long-term success for the procedure to gain validity. By the early 1990's dentists readily accepted implant dentistry as an adequate and routine substitute for missing teeth in all areas of the mouth. Restoring dental implants has undergone a paradigm shift from simply validating that dental implants work to recreating missing teeth with a chameleon-like effect. Even though implants can be restored with a very high degree of success, one of the most difficult and critical areas in the mouth to achieve great esthetic results is in the upper front jaw -- specifically when replacing a single upper central incisor tooth. Single-tooth implant dentistry present dentists with unique challenges. When a single central incisor tooth is removed due to periodontal disease, tooth decay, trauma, or nerve failure, the body responds by shrinking the bone and gum tissue in place of the missing tooth. The body no longer needs the supporting bone structure; therefore, the bone is decreased and the gum tissue shrinks because of bone resorption. In order to achieve a natural appearance to the final restoration, restorative dentists must attempt to replace what nature he as taken away. An unnatural appearance will be the result if the tooth is replaced without considering augmenting or "plumping up" the support structures. It would be like placing a great painting in the wrong frame, thus having a diminished outcome. Certain steps are necessary to achieve a successful outcome, especially in the most demanding implant cases, like replacing a single upper front tooth. Before the decision to place an implant is made, patients should know the sequential steps. The process starts with a thorough exam. Clinically, dentists should examine the affected area and the entire mouth. A comprehensive exam of the bone and soft tissues must be performed along with taking specific X-rays and possibly detailed bone scans to identify any potential complications. An analysis of your smile should also be performed. Do your teeth and gums show when you smile? Does your upper lip drape over your teeth? If the patient has a high lip line that shows teeth and gums, the need for bone and soft tissue grafting may be necessary. By discussing several of the aspects necessary for implant treatment, you can be more aware of the possibilities, as well as the limitations, associated with implant dentistry. Armed with various soft and hard tissue grafting techniques, ceramic material advancements, and better dental implant components, dentists are able to satisfy even the most esthetically-minded patients. To find a Implant Dentist near you, enter your postal code below.